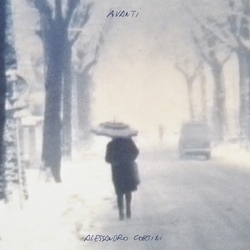 By far our favourite escape into blissful ambience that 2017 gave us was Alessandro Cortini's AVANTI. Leaving behind the sleep-deprived electronics of his previous albums on Important and Hospital Productions, AVANTI finds Alessandro Cortini delving into the sort of nostalgia for moments romanticised or misremembered that has made Boards of Canada such an important part of our daily listening habits. Making AVANTI by far 2017's most powerful and emotionally charged recording. Made especially for you, Point of Departure has created an Exclusive Limited Gold Coloured Vinyl Pressing, and we also have a new Exclusive Cassette and Exclusive CD of the album.